Presenter View allows a user to get a preview of their next slide on their private screen, while showing a full-screen display to their audience. It also gives useful tools like a timer for keeping track of how long you are spending on your presentation. 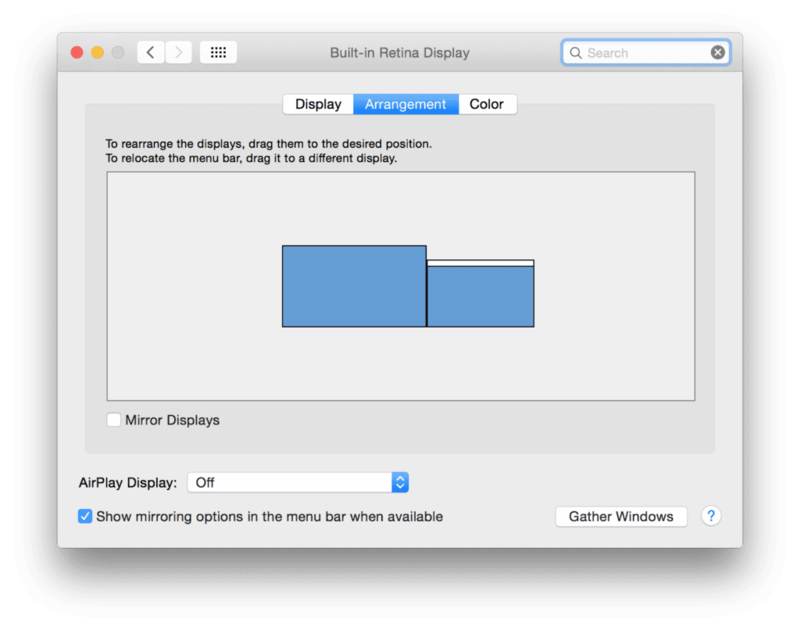 As a long time Mac user, my first instinct is to go to my Display settings. If I choose to mirror my displays (A simple Command-F1 shortcut also does the trick), you would think that the Presenter Mode problem goes away and would turn off automatically: if both screens are mirrored, it would just show the standalone presentation! We are not that lucky. Presenter view will still appear if displays are mirrored — the problem persists! Even if we drag the white Menu Bar in this Arrangement tab, it will not solve the issue. Under Slide Show, there is a check box that says “Always start in Presenter View with 2 Displays.” Uncheck this if you do not want Presenter View to be the default. Next, in your presentation, click on the Slide Show tab. Click on the Presenter View button to turn it on for this presentation. In the Presenter window you will see a series of buttons toward the top. Click “Swap Displays” and this will switch your presenter view to the opposite display! 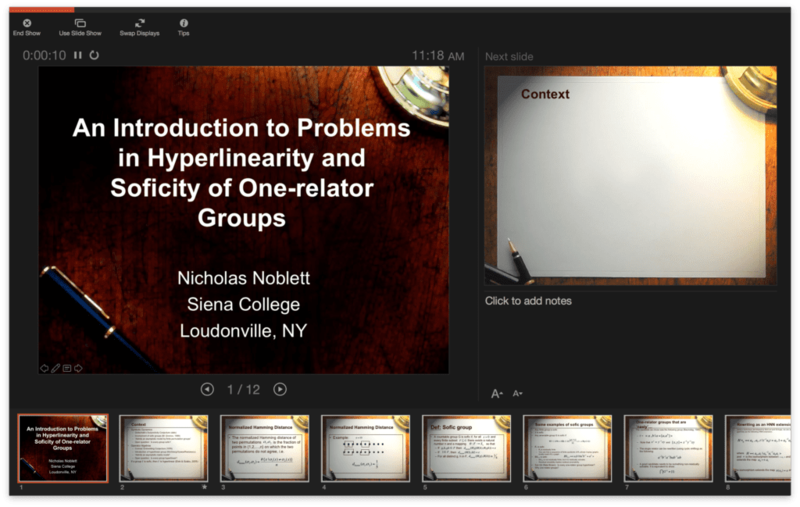 In addition to PowerPoint, there are also some other great presenter options for Mac users. I’ve always been a fan of Keynote, part of Apple’s iWork suite & available on the Mac App Store. It comes free with the purchase of a new Mac and may already be in your Applications folder. Another great alternative that is web-based is Prezi: it offers a unique zoom-in/zoom-out presentation style that will have your clients & coworkers buzzing about your topic all day. You can find more information about Prezi on their web site, http://www.prezi.com.